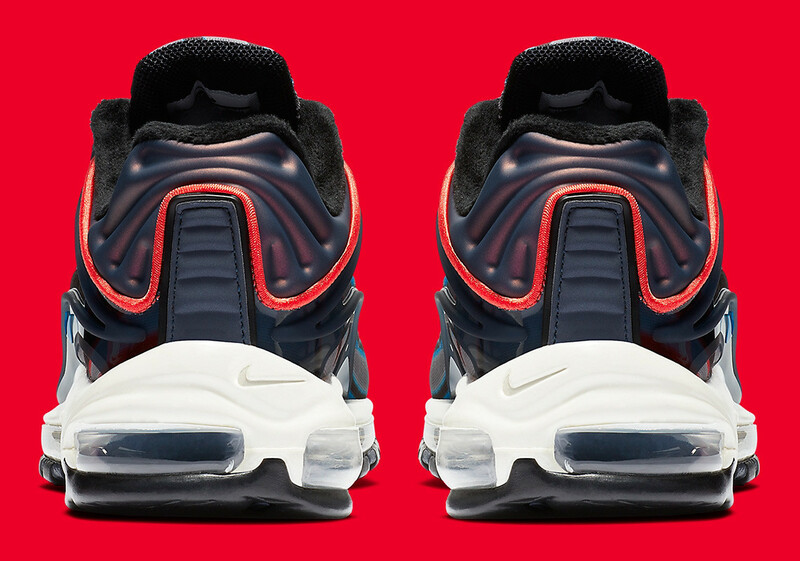 The Air Max Deluxe Navy Red features a neoprene fitted upper with thick fibres woven into the shell for structure. 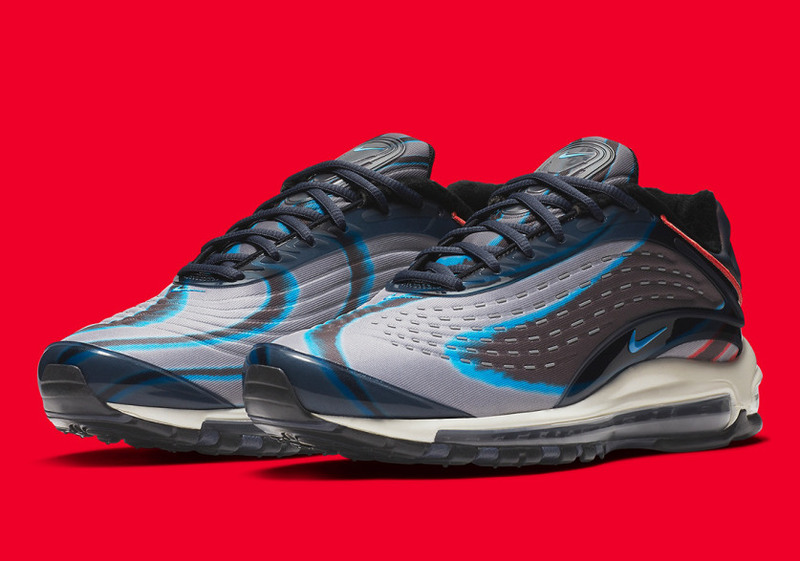 On top of this, it also boasts an exterior TPU shell for additional stability as well as a moulded heel unit. 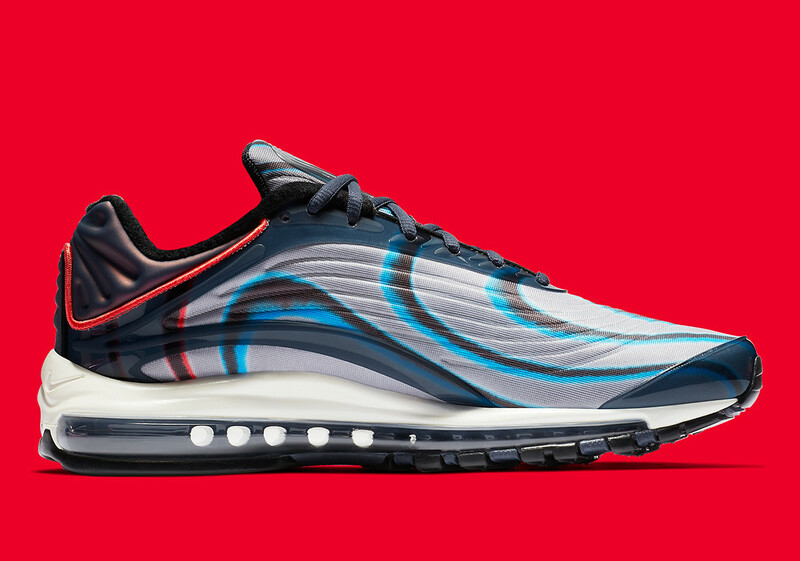 Painted in a crazy black, blue, red, and white colour combination, the Air Max Deluxe Navy Red was made to turn heads, and 3M reflective detailing means that you can spot these heaters even in the dark.